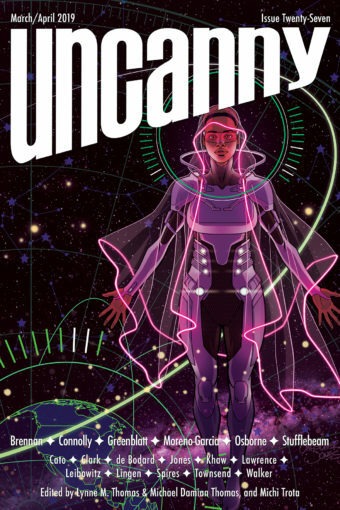 The moment many of you have been waiting for is almost here: Uncanny: A Magazine of Science Fiction and Fantasy is nearly ready to open for unsolicited submissions! We’re proud to announce that Uncanny has now filled its slots of Submissions Editors! Thank you to everyone who took the time to apply to be a Submissions Editor for Uncanny. We were overwhelmed by the number of responses and the enthusiasm of applicants for the limited number of slots available. Now that we’ve chosen Submissions Editors, this means we need to start giving them something to read. And that means… we need YOUR submissions! Uncanny will officially begin accepting FICTION and POETRY submissions on THURSDAY, SEPTEMBER 11, 2014. We will have a blog post up tomorrow with further details and instructions, including more about the submissions guidelines. So get your fiction and poetry ready, Space Unicorns! We can’t wait to see it! True, as you must know the submission details before you can consider what to submit; but most writers are flexible anyhow, so having your submission ready is three-quarters of the road trip.